In 1980, at the end of Victor’s teaching career, and with his sculpting career beginning to pick up, the Halvani couple decided to buy a small house and gallery in the holy city of Safed. The gallery fast became a mecca for tourists, and art enthusiasts and collectors began walking throughout the alleyways of Safed to find Victor Halvani’s sculptures. From 1982 until 2002 Victor was one of the most active artists in Safed, a member of the city’s artist colony, some years serving as its head He was also an active partner in the general exhibit of Safed artists. In 1989 Victor’s monumental sculpture “Chariots of Fire” was placed in the Yigal Alon house courtyard in Safed. The sculpture won first place in the Ministry of construction and housing competition. “David with sling”. “The Deer”. “Mother playing with son”. Additionally, the sculpture “Genesis I” was placed in the Safed artists main gallery courtyard (as part of the general artist colony’s exhibit), and other sculptures placed in the gallery itself. 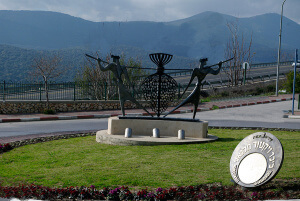 The Victor Halvani Square was inaugurated in 2010 in the presence of Ilan Schochet – Safed’s Mayor, the artist, his family, and the donor’s representatives. The square is at the southern entrance to the city, and includes the sculpture ‘The Spies”. Additionally, the sculpture “The Shofar” was placed in the “city liberation” square. 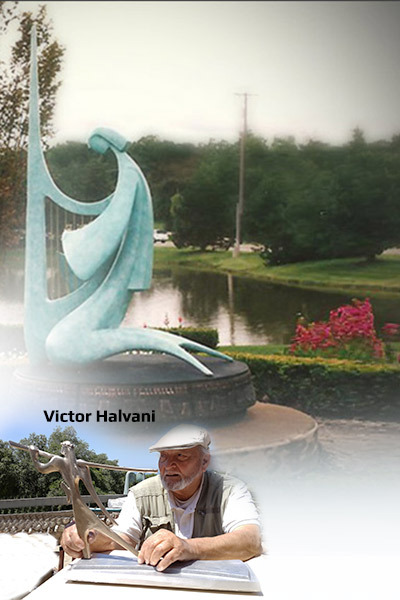 In 1990 to 1993 the Halvani Sculpture Park was built at the entrance to Safed. The park encompasses 5 acres (50 dunam) and was entirely planned by the family, in collaboration with the Safed municipality, Israeli Government entities, and donors from around the world, headed by Mr, Irving Young from London. Sculptures placed in the park “Hope for peace”, “Trojan Horse”, “The binding of Isaac” (a series of seven sculptures describing the biblical story). “Space age family”. “Ruth and Naomi”, Miriam and the drum”. 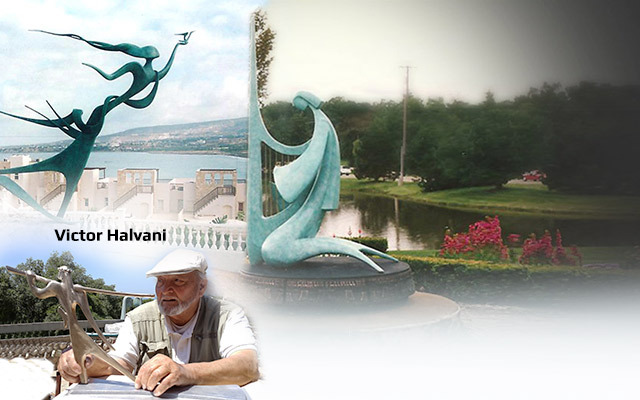 In 2010 Victor Halvani received a certificate of appreciation from the Safed Municipality for his life work in art and for the promotion of culture and art in the city. In 2014 the Halvani Association was renewed with Margalit as its honorary president. Beyond the association’s role in preserving the artist’s sculptures in the park and around the city, it has committed itself to the promotion of art education for young artists who cannot afford their studies.